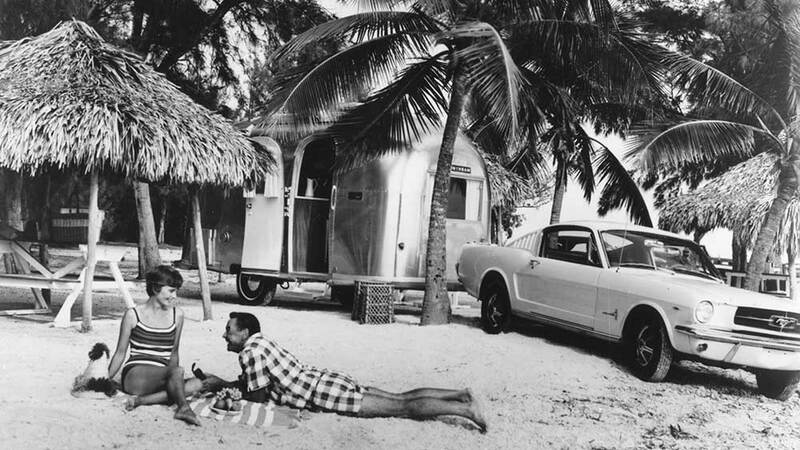 The Airstream story is really the story of entrepreneur Wally Byam. From a young age Wally was the master of his world. 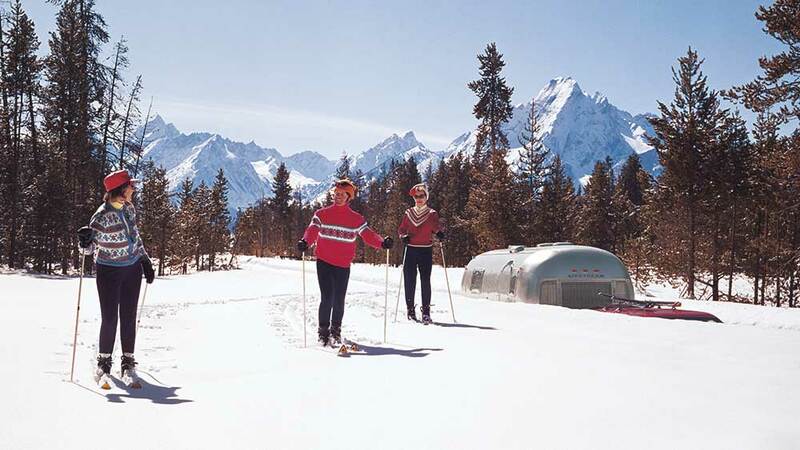 Describing his earliest years, Wally recalled, “I learned how to camp, how to go anywhere and do anything, and how to care for myself outdoors.” His mindset created a single-minded goal: to see the world and make history doing it. 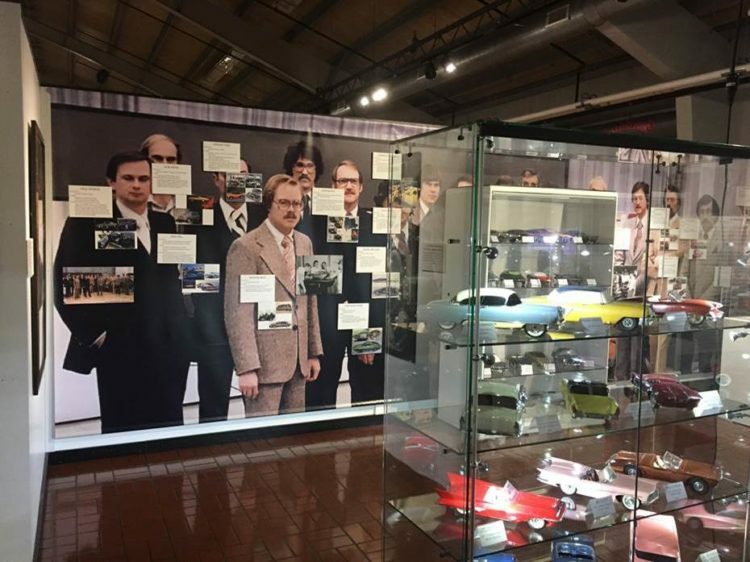 Like many inventors and entrepreneurs in the first half of the Twentieth Century, vision, purpose, circumstances, and a bit of luck enabled those risking failure to embrace their dreams. Being in the right place at the right time didn’t hurt, either. Reading about Wally reminded me of the book Birthright: Murder, Greed, and Power in the U-Haul Family Dynasty by Ronald J. Watkins. 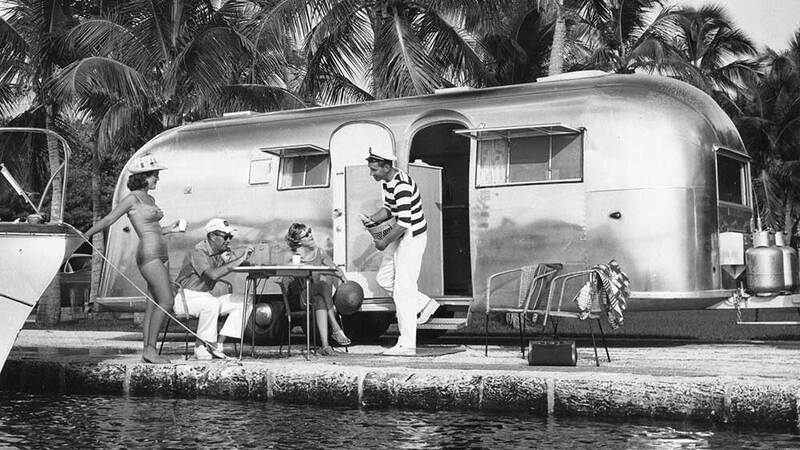 Wally Byam reminded me of L.S. Schoen, the founder of U-Haul. 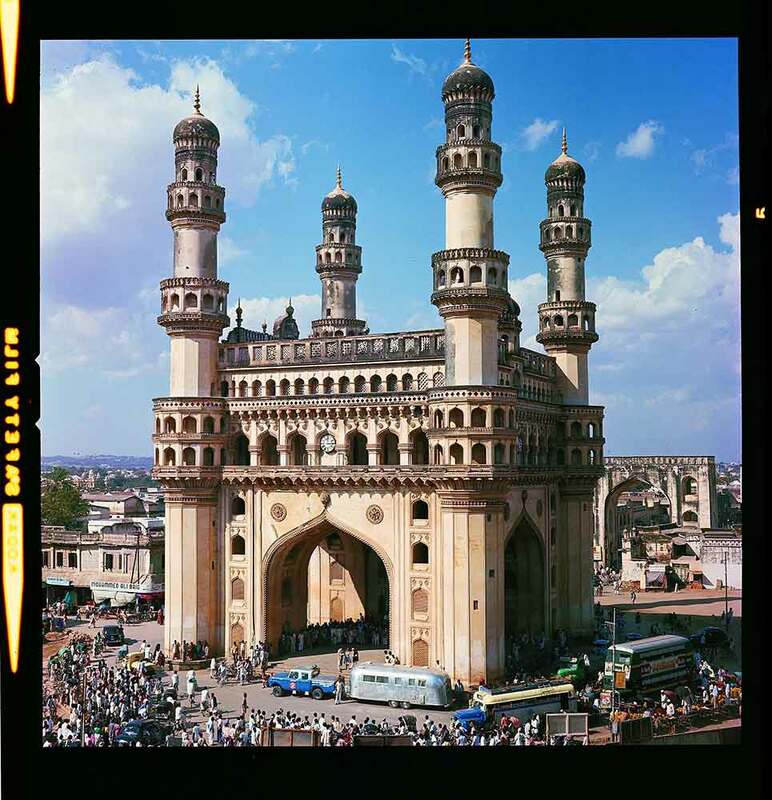 Their entrepreneurial spirits and humble beginnings of the companies were similar. 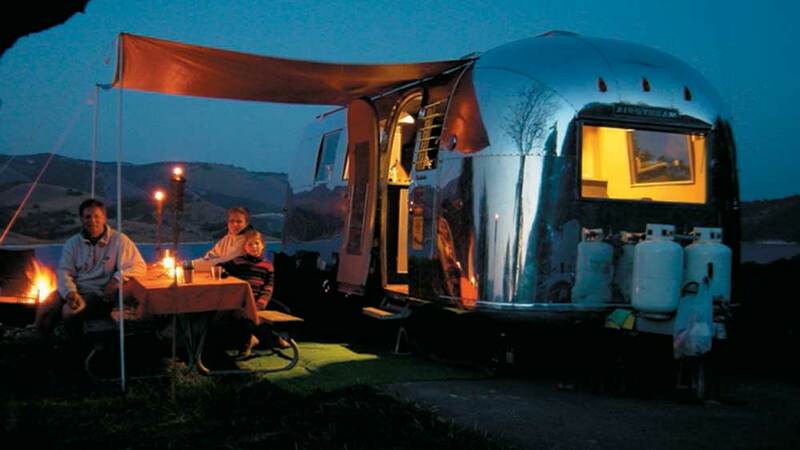 No murders in Airstream, however. 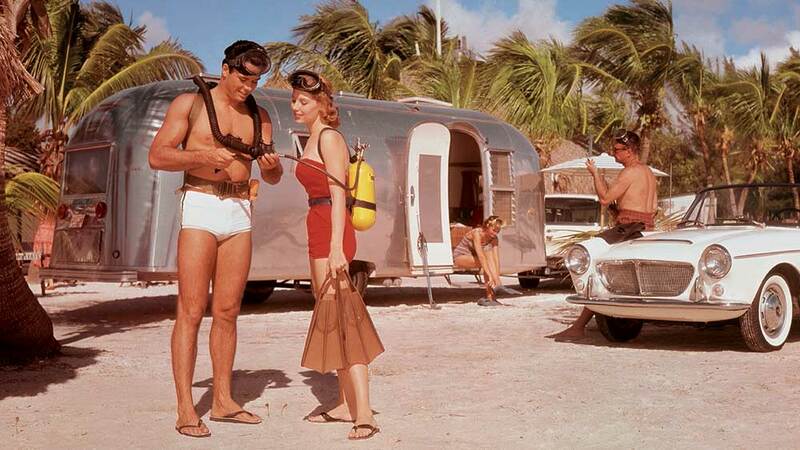 Wally loved camping and the great outdoors, but his first wife, Marion, not so much. 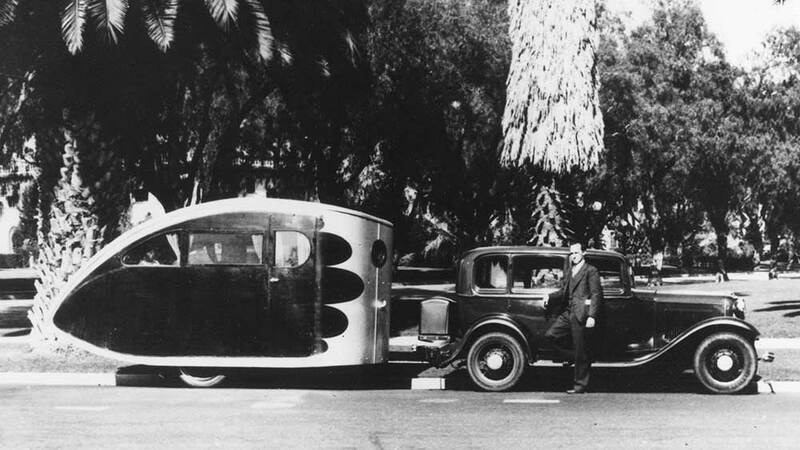 His first trailers (made from wood) were successful (for the time) to make camping more comfortable. 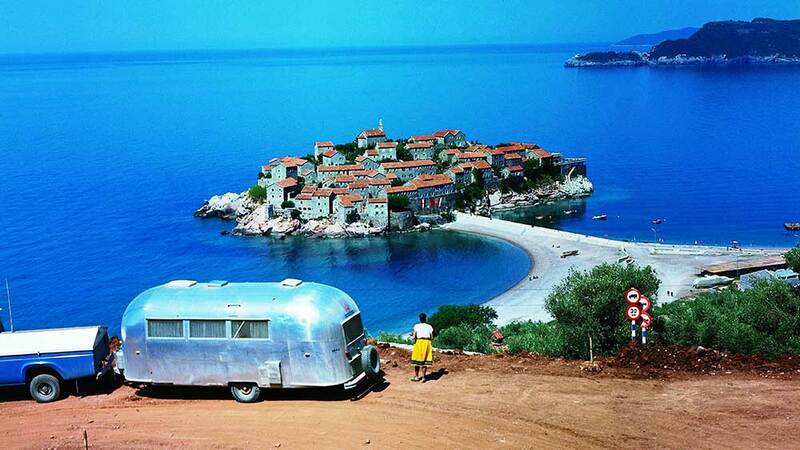 His first trailer production was in his backyard making his small, teardrop trailers for neighbors. 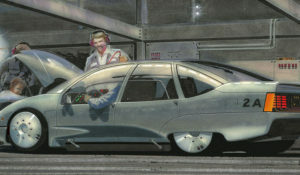 He eventually moved to several different facilities in the Los Angeles area as demand warranted. Demand was surprising in the depression years. Migrant workers used them for family homes. 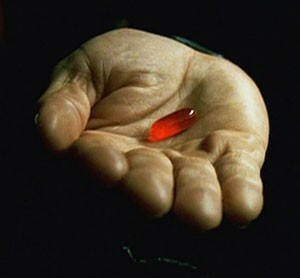 Businesses used them for sales people to save on hotel costs. He offered three versions. 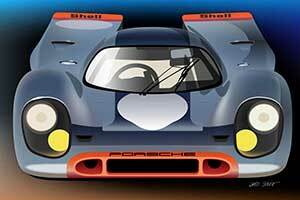 Factory built, a kit, or plans. 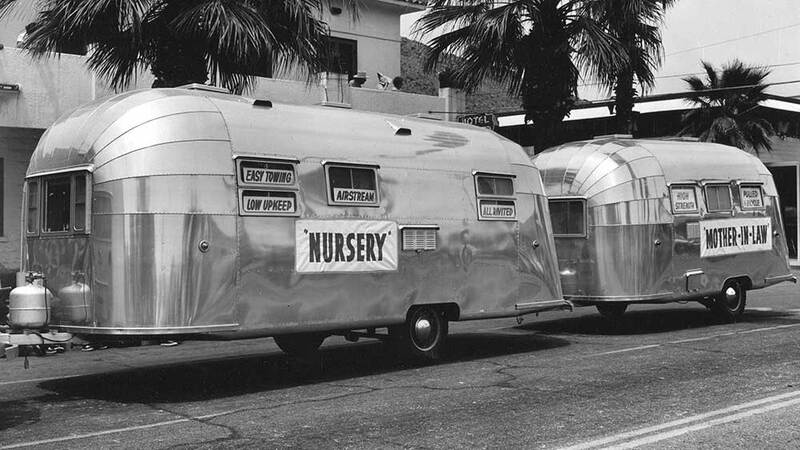 Since Wally used his trailers for what they were intended, he made constant improvements. 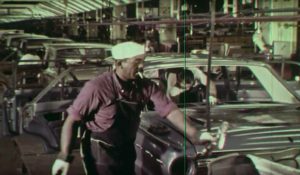 When Wally needed to supplement his income, he’d go to work somewhere to make ends meet. 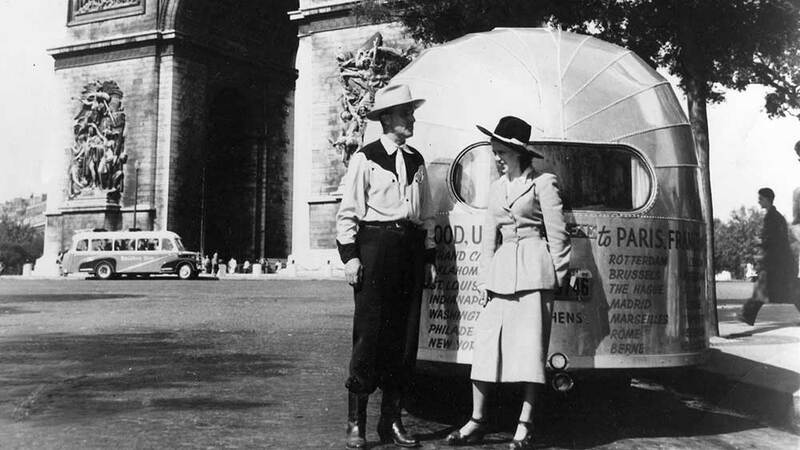 In the ’30s, Wally went to work for a Bowlus-Teller trailer dealership. 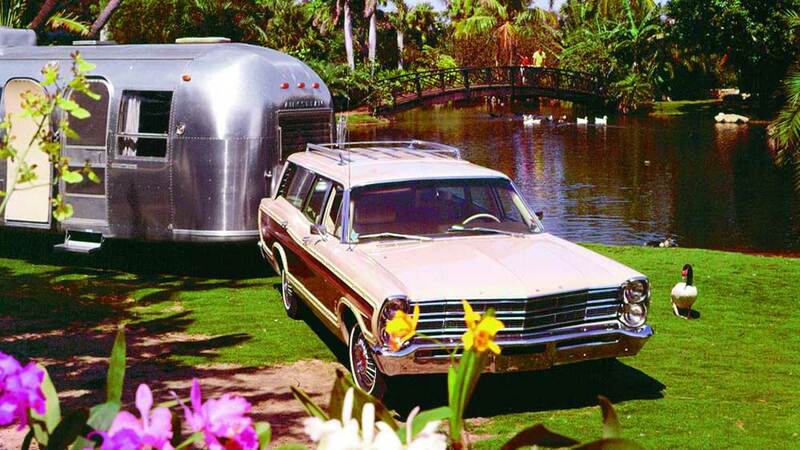 The founders of Bowlus-Teller had aircraft industry backgrounds and made an aluminum trailer inspired by aircraft construction, the Road Chief. 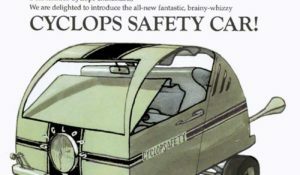 But the firm went bankrupt and Wally had the foresight to buy the assets. 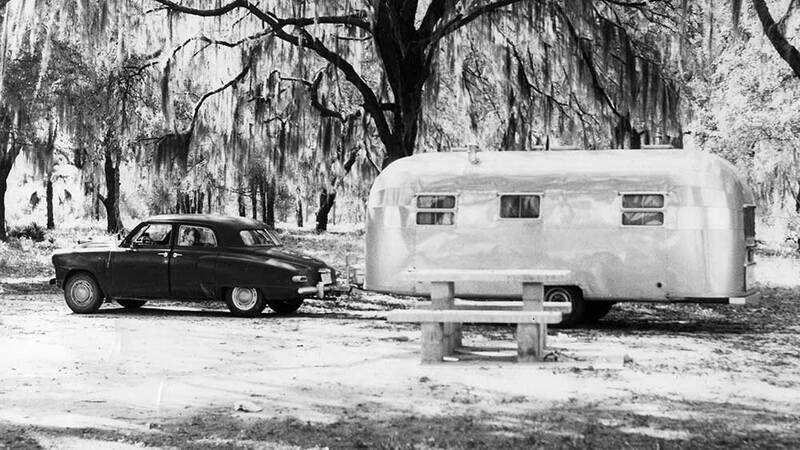 Wally created the Airstream Clipper, a re-designed and greatly improved version of the Road Chief. 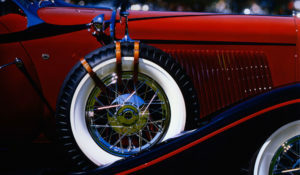 It was a high-end product that sold for $1,200, quite a sum in 1936. A Ford sedan could be had for as little as $520. 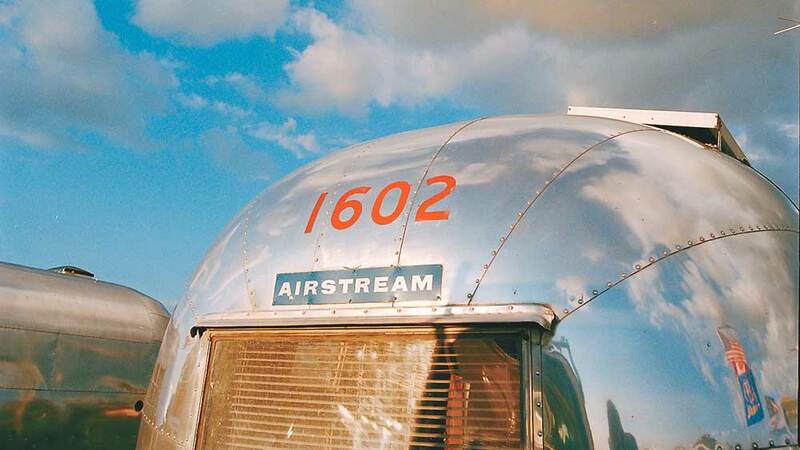 During the war years, Airstream had to be shut down because of the scarcity of construction materials. 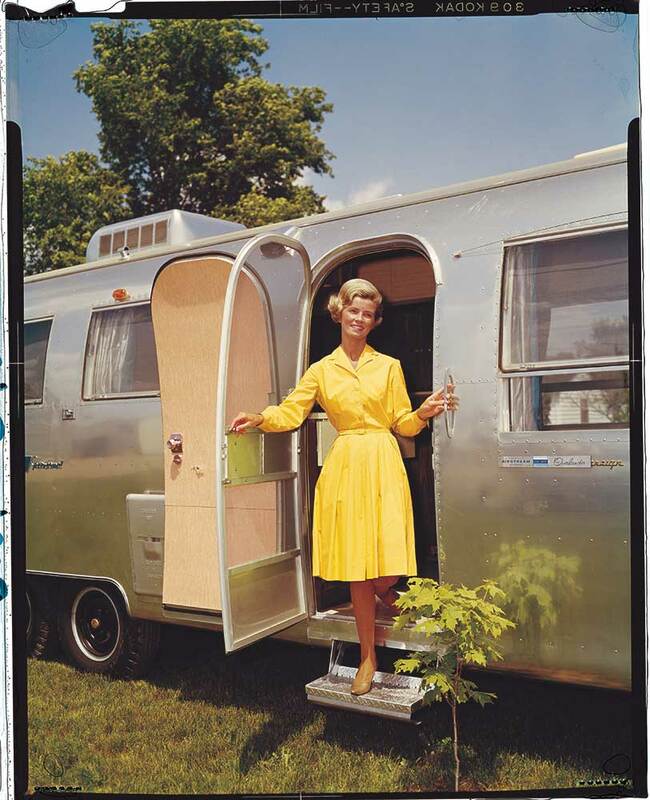 The only interest in trailers during those years was for wartime housing units. So Wally went to work for Vultee Aircraft, Lockheed, and eventually Curtiss-Wright. 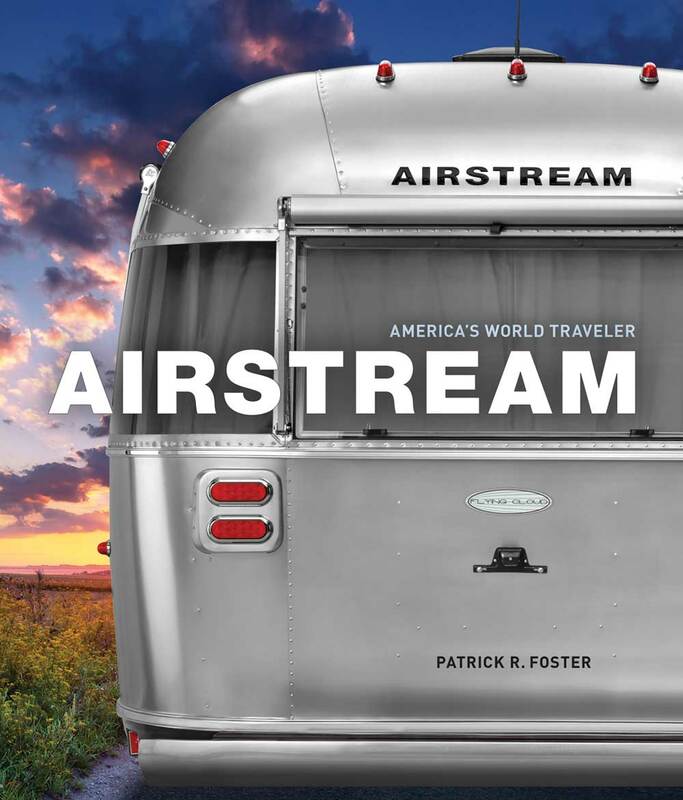 His experience with Airstream really paid off. Wally knew how to get things built. 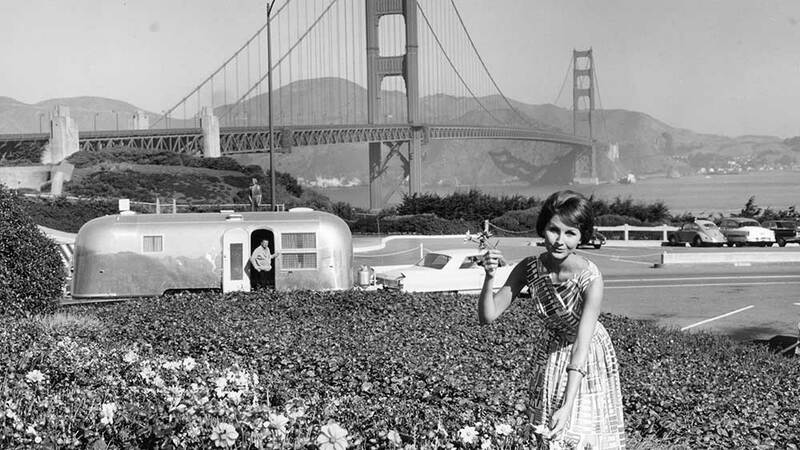 Once Airstream was back on its feet after the war (quite a story in itself), Wally embarked on many promotional caravans. 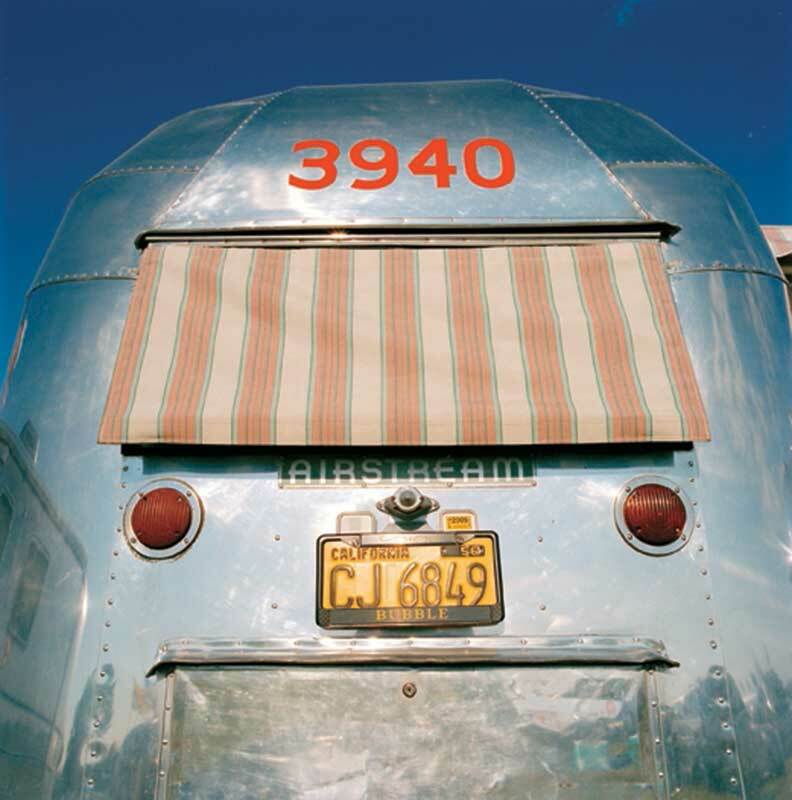 As wagonmaster, he would lead a group of Airstream enthusiasts on trips (read: hazardous) to Mexico, Central America, Europe, Africa, and others. The world was a different place then. 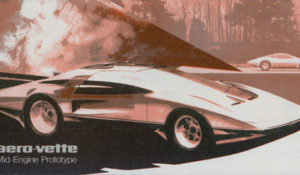 Today you’d need stinger equipped drone air cover and a couple of squads of assault troops for protection. 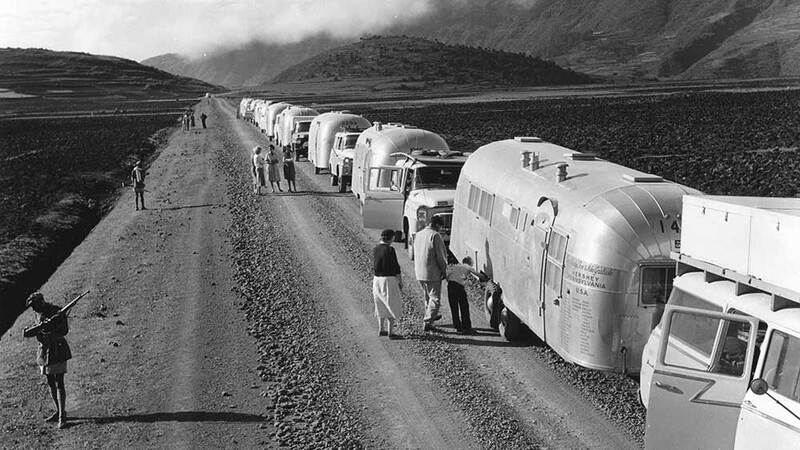 Airstream’s history of Wally Byam and the development of the brand is only part of the story. 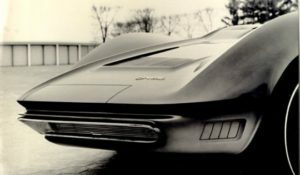 Wally died in 1962, and the company has had its share of tribulations since then, both from internal struggles and external causes. 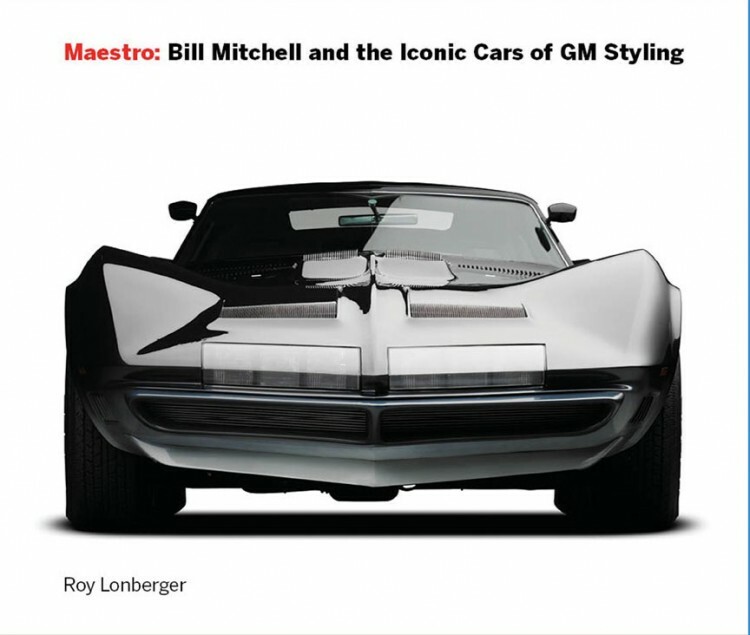 The company has survived recessions, the gas crisis of 1974, and 9/11. 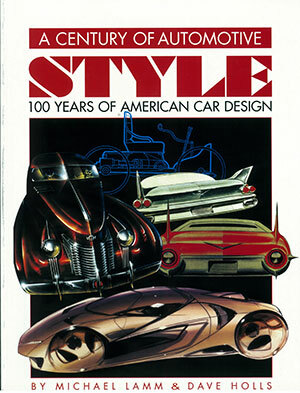 Airstream is a professionally designed, fully indexed book that is easy to navigate. Many historical photos. Unlike Birthright, there isn’t much intrigue. No murders. Oops. 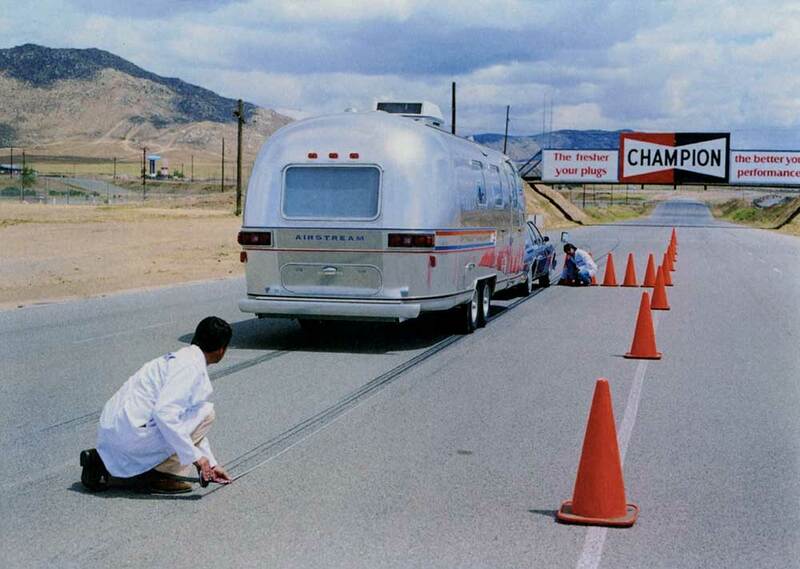 The caption for this photo on page 159 states that this was a braking test preformed at the Transportation Research Center in Ohio. But that’s the main straight at the Riverside International Raceway in Riverside, California.